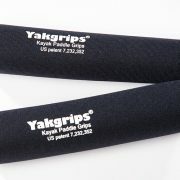 Surf Yakgrips® prevent rubs, calluses and blisters and reduce the stress on hands and tendons. 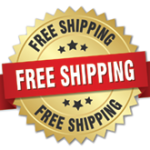 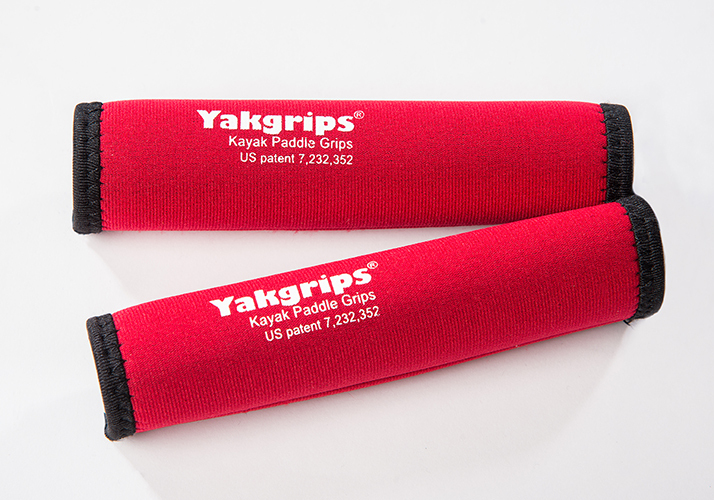 They are especially helpful for people with carpel tunnel, arthritis and other disabilities. 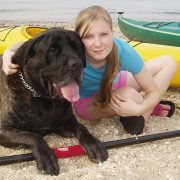 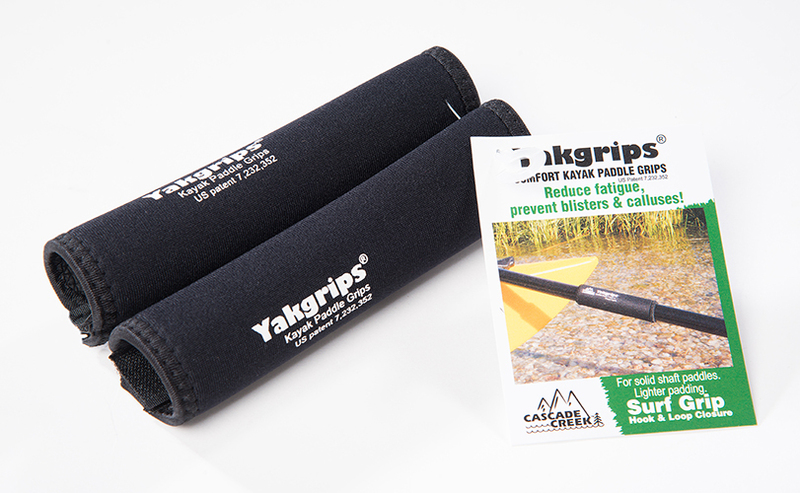 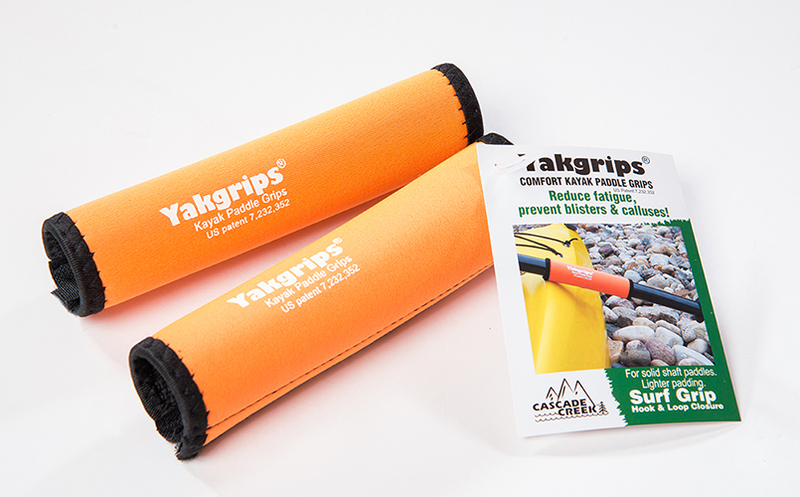 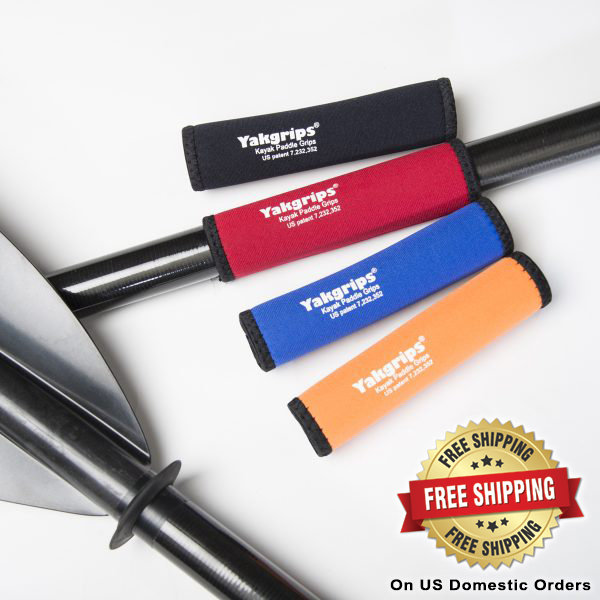 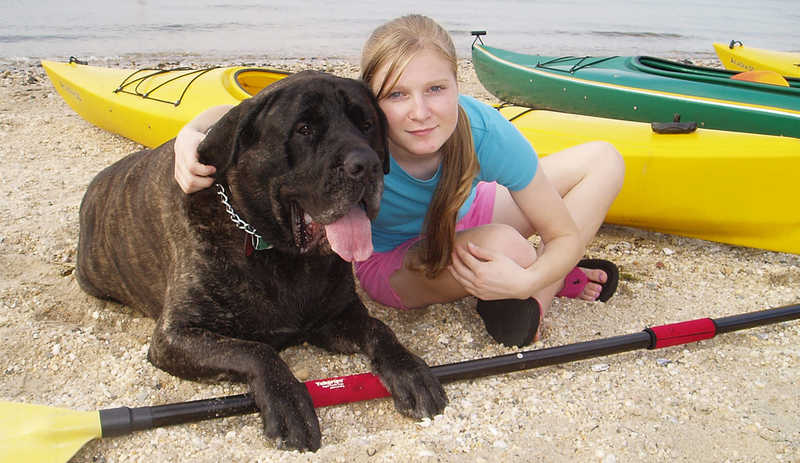 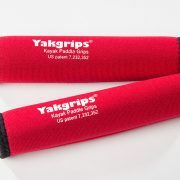 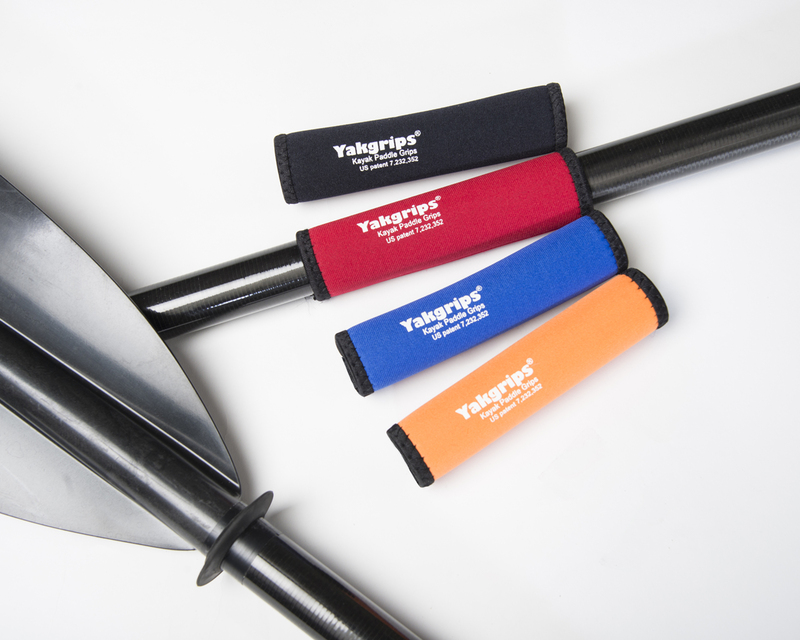 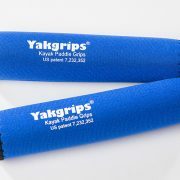 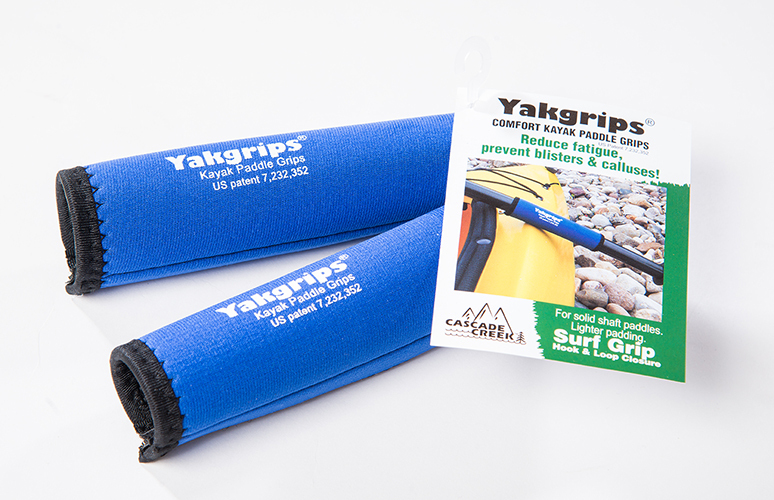 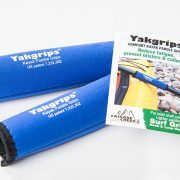 Surf Yakgrips® also help keep the paddlers hands in the correct position while paddling. 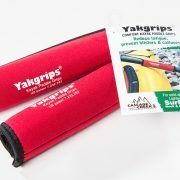 They also help to keep hands dry and not slide on a wet paddle shaft. 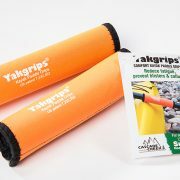 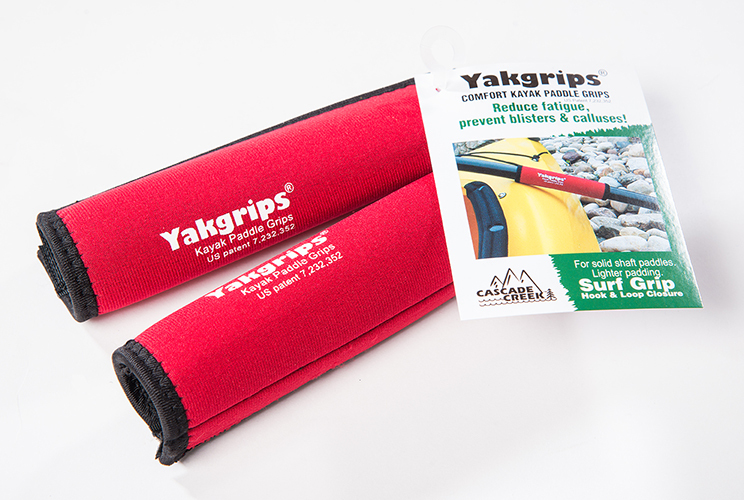 Surf Yakgrips® insulate hands from a cold or hot paddle shaft. 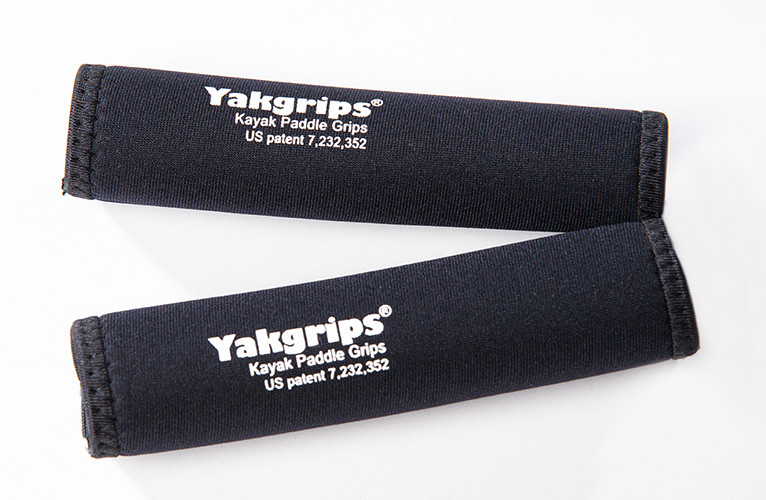 Once the Surf Yakgrips® are installed they can be left on the paddle. 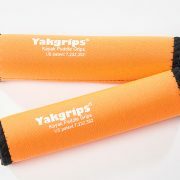 Material is UV treated. 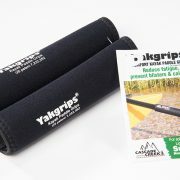 Scroll down to view installation instructions. hand position then press the hook & loop closure together so the seam lies flat. 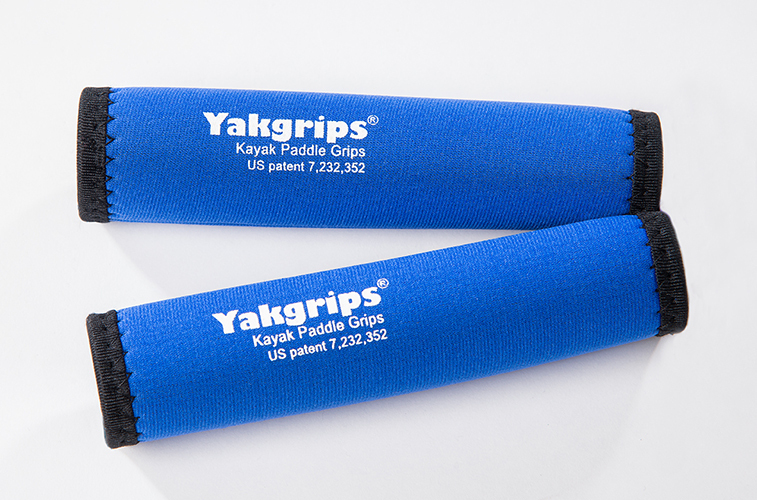 The seam should face away from you.